As a human resources executive, I have been recruiting talent for over 20 years across multiple industries, including Entertainment, Tech/IT & Personal Management. Below are some hot tips for both sides of the hiring table. Bring a copy of your resume to the meeting. Make it easy for the hiring manager, who is probably really busy – too busy to stop and print the resume. Have your resume ready. 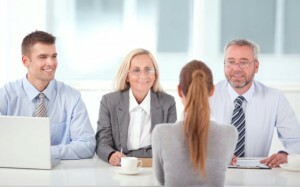 Many times candidates forget to bring their resumes to the interview. This always blows my mind and is really the first test on aptitude. I purposely give specific directions on where to park, special directions or ask them to do something. I give tasks, and sit back and see if they executed the tasks. I really can weed out the bright prospects who duplicate orders and the not-so-bright quite quickly this way. For instance, I will tell them “the address is in my auto signature” for them to capture (they should know how to search for your last email). I then send parking directions and see how they do. There are a couple different gates and I instruct them to park on a certain level and that we validate. Then I see what I get: i.e. they got lost finding the building; they park at meters because they weren’t sure if we validate; they weren’t sure which gate to enter; they entered wrong gate, parked on wrong floor; they were wearing their nametag. It’s all a ploy to start seeing some signs and indications on their aptitude. Have 3 references (people you reported to in past jobs) readily available upon request. When you get a song and dance about having to dig up references, it looks bad. When you have mostly co-workers that you worked with and not reported to, it looks bad. I never will speak to a colleague/co-worker when I am checking references. Make sure you have at least 3 good references lined up. It can also be a customer you serviced well. Again, make it easy for the hiring manager and format your references this way: name of reference, job title, name of company where you worked together, telephone, e-mail address. I personally have a thing about handshakes. A soft, limp one doesn’t say to me that the person is confident and has good ‘confront’… maybe that’s just me. You want to hire someone who easily and effortlessly can assert himself/herself into any situation. The right handshake is a hint. A candidate who’s eyes dart around the room and cannot easily confront you when talking during the interview, is not a good sign. Their level of confront is low, which means there will be attention problems on the job. You can miss on this one if, as the interviewer, you never make the person comfortable and at ease. No one is comfortable in an inquisition. Once made comfortable and given your complete attention (heck, you want them to be the “right” one) if they are still all over the room, eyes darting, etc. – not good. This is interviewing 101. Never, no matter what, make less of management in any past job. No matter the circumstances, it only says that you will be trouble and do the same at this one. So many people fall into this trap, don’t go there. If I really like someone, I will walk them to their car. A surprise visit to their car in order to see the condition of the inside will be telling. Is it piled high with crap? Is it pretty clean and tidy? Are there old food wrappers and drink cups throughout? It doesn’t have to be spotless. The condition of a person’s space is an indicator of many not-so-positive qualities in a person. It says a lot. If you aren’t able to see the condition of their home, the car is the next best thing.